Johnny and Kosta Diamantopoulos are the amazing Greek duo who own, run, work and breathe All Star Sandwiches. Johnny is the head chef and Kosta handles everything else. The wonderful staff are knowledgeable, friendly, and make you feel right at home in the fun atmosphere. The prices range from $7-13 for generous servings of mind-blowing sandwiches and burgers that come with a pickle and coleslaw or fries, and $2-6 for the mouth-watering sides. They also serve great draught beers ($4.25) on tap or pitcher ($13), wines and sangria by the glass ($7) or pitcher ($21). 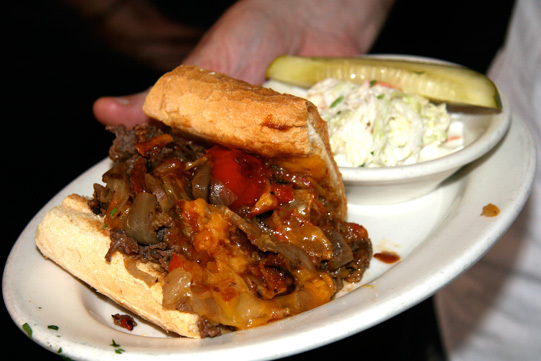 The Philly Cheese Steak is the Saturday Sandwich of the Day. The tender steak, bacon, sweet & tangy BBQ sauce, grilled veggies and melted cheddar is a perfectly orchestrated sandwich that is not to be missed. After having one all I can say is “Wow! 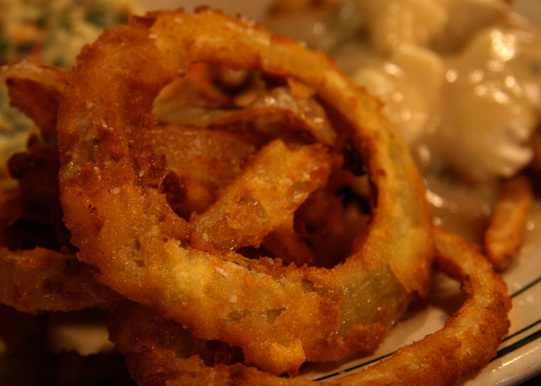 These guys are not kidding around.” Try it with a side of the German potato salad or the buttermilk battered Onion Rings. 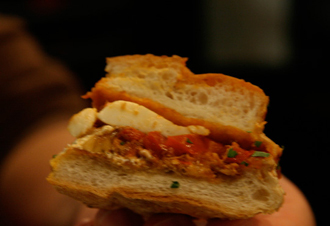 Some sandwiches from the Street Food special menu that I sampled were Chicken Pizzaiola, which was akin to chicken parmesan: tender chicken with fresh mozzarella, basil and tomato sauce on a toasted baguette. 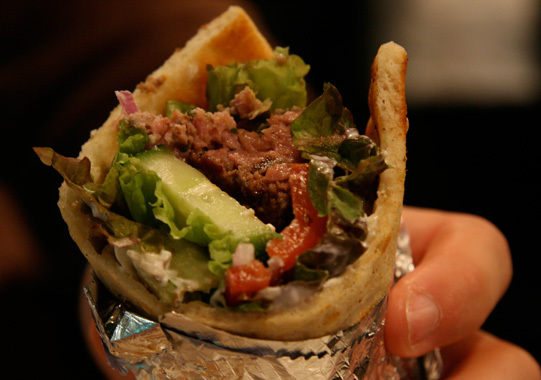 The Lamb Gyro, which is, according to Kosta, not a wrap but a fold. The homemade tender lamb sausage was delicious and is accompanied by yogurt sauce, fresh herbs, crunchy lettuce, cucumbers and tomatoes on grilled pita bread. Some of my favorite items from the regular All Star menu include the Chili (cup $4 or bowl $5.50), which is a savory beef stew topped with a dollop of sour cream. 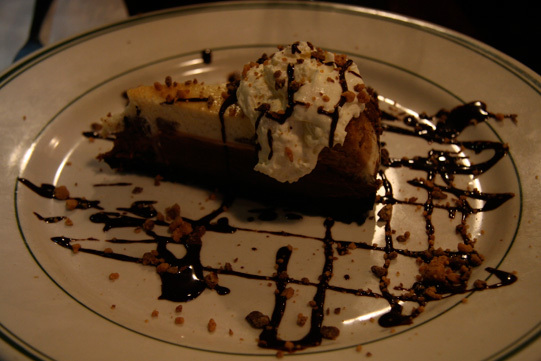 It’s served with a generous amount of cornbread that counteracts the chili pepper from overwhelming your taste buds. 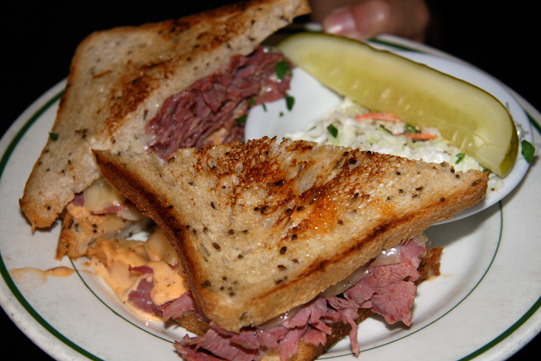 All Star’s Ruben is served with your choice of corned beef, pastrami or turkey meat, with delicious sauerkraut and creamy Russian dressing. Another word about the sides: the Fries are always perfectly crisp and the Hell Fries are spicy enough to wake up the most sleep-deprived student. 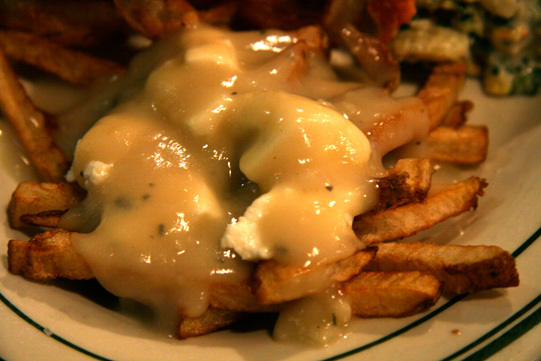 All Star has been awarded “Boston’s most authentic Poutine,” which is a Montreal classic consisting of fries topped with turkey gravy and mozzarella curd. 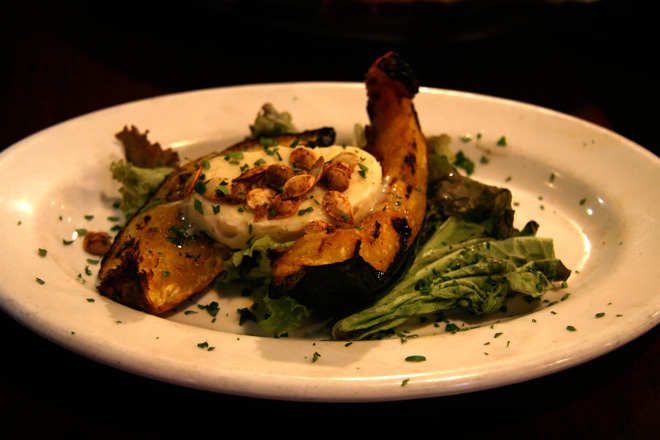 On the Street food specials menu, the Veggie Side with Acorn Squash is a gourmet treat, perfectly roasted squash with a nutty flavor topped with a silky maple goat cheese butter and sprinkled with roasted pumpkin seeds. 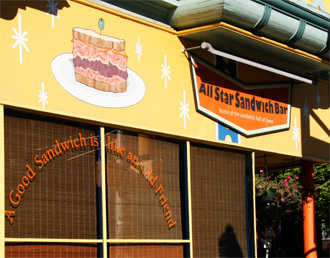 I could go on and on about this side, but suffice it to say that these gourmet treats are the mainstay at All Star, that sandwich bar that continues to serve up the highest quality food in a comfortable disarming setting.